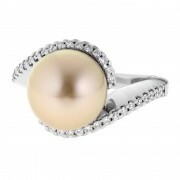 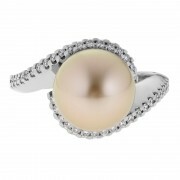 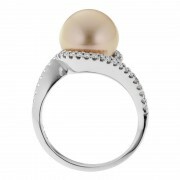 A fine band of white gold contours its way around a beautiful gold South Sea pearl in this ring design. 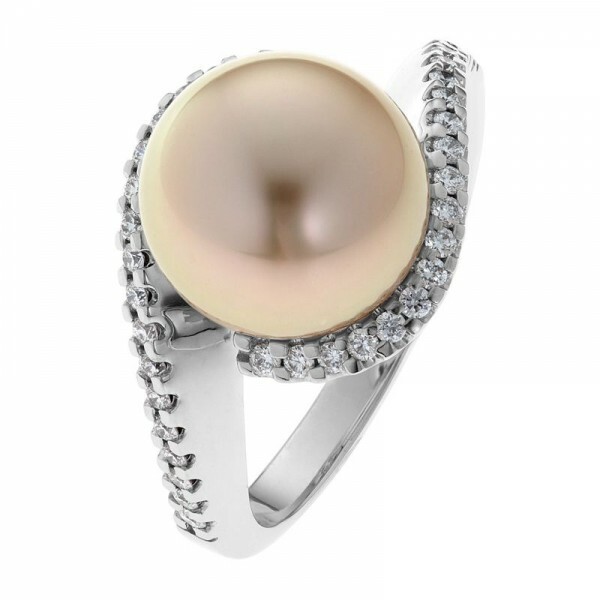 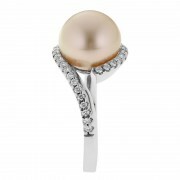 The button shape pearl and cup like style of this ring gives you the feel of a lower set pearl so it doesn’t feel like it sits high on the finger. 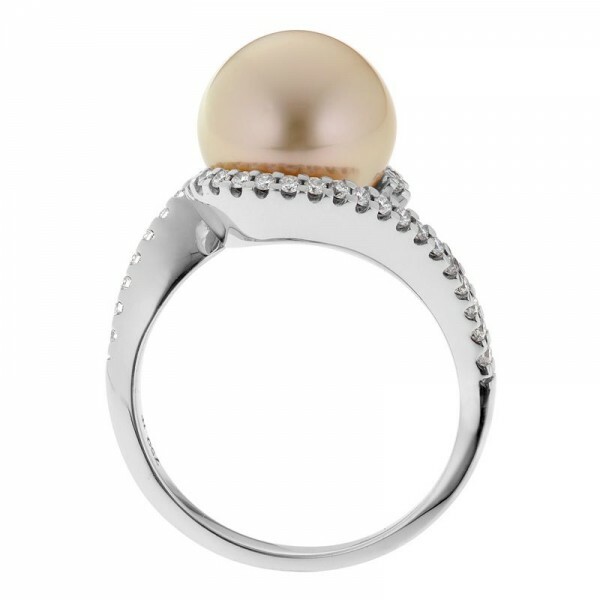 The rich gold colour of the pearl contrasts in a spectacular way against the crisp white gold and brilliant white diamonds.